Five people were found dead in a rural North Texas home Wednesday after police say a man entered the home of his ex-wife, and shot and killed her three children and her boyfriend before killing himself. Capt. Orlando Hinojosa from the Denton County Sheriff’s Office confirmed the killings, adding that the gunman also shot his ex-wife, but she had survived the incident. He said that he did not know her exact condition, but that he didn’t believe that her injuries were life-threatening. 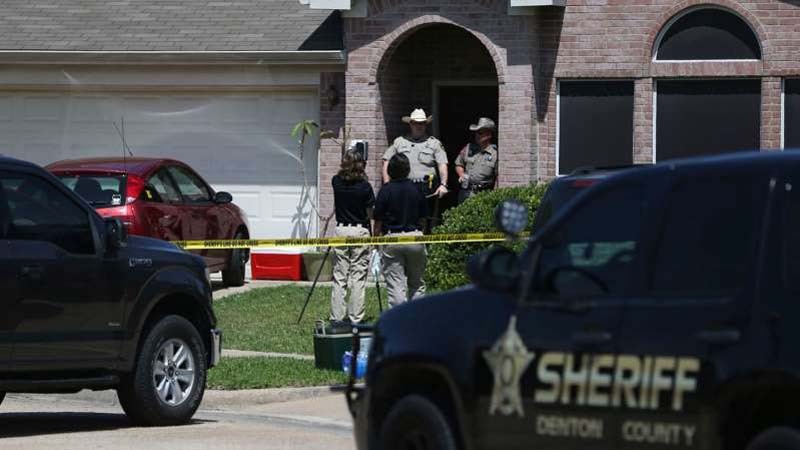 Dispatchers received a call at around 8:28 a.m. about a self-inflicted gunshot victim at a Ponder home and, while police were en route, they were notified of multiple other victims, the Denton County Sheriff’s Office said. The details surrounding the deaths weren’t immediately clear. Police did not release the ages or identities of any of the victims. Ponder is a small town just 40 miles north of Dallas with about 2,000 residents.